Lexington, Ky.—Feb. 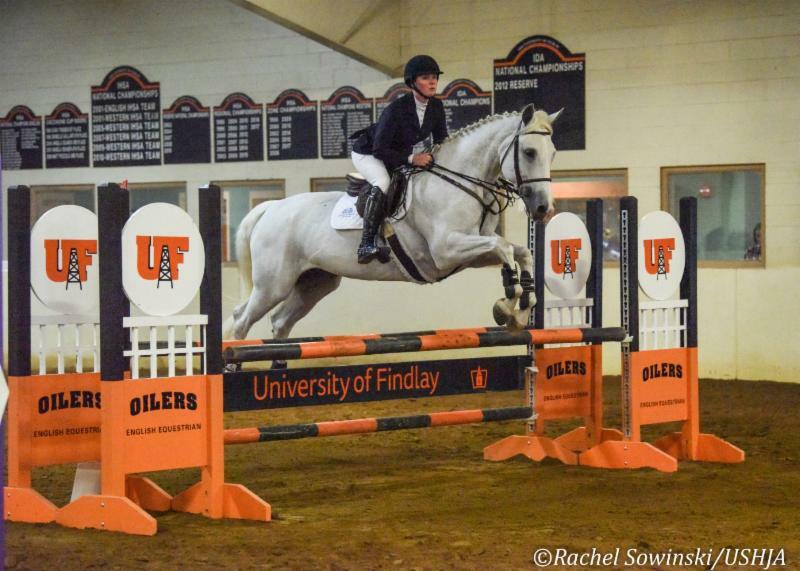 1, 2019—The U.S. Hunter Jumper Association is pleased to announce the dates, locations and clinicians for the 2019 Lindsay Maxwell Charitable Fund/USHJA Emerging Athletes Program. Applications to participate in one of 10 Regional Training Sessions nationwide, open to riders ages 25 and under who are proficient at 1.10-1.35m jumper courses, will open Monday, February 4. Select sessions will offer a 3-foot section to introduce riders of all ages to the program. "The EAP is an incredible learning experience for young athletes who are passionate and dedicated to the sport and want to advance their riding and horsemanship skills," said Sally Ike, USHJA Emerging Athletes Program Committee chair. "We are also incredibly thankful to our returning title sponsor the Lindsay Maxwell Charitable Fund and to our Regional Training Session hosts for their continued support of the program. Because of their support and commitment to education, our athletes will be able to learn in world-class facilities from leading professionals in our industry." Riders ages 25 and under who are interested in participating in a session can apply online beginning February 4 at 9 a.m. EST at www.ushja.org/EAP. The deadline for applications for the first six sessions is April 15, and the deadline for applications for the remaining sessions is May 13. Additionally, seven of the 10 Regional Training Sessions will offer a special 3-foot section, giving riders of all ages an introduction to the benefits of the Lindsay Maxwell Charitable Fund/USHJA Emerging Athletes Program at a 3-foot fence height. Riders participating in a 3-foot section will have full access to all aspects of the Regional Training Session but are not eligible to qualify for the National Training Session. "We hope that by adding this 3-foot section we will give more athletes a taste of what this program has to offer as they advance in the sport," continued Ike. "While 3-foot athletes will not be eligible to qualify for the National Training Session, they will return home having learned much from the Regional Training Session; we hope to see many of them join EAP as their skills progress. Riders interested in participating in the EAP program must be current USHJA members in good standing above the Outreach level, and must complete and return the appropriate application and associated fee to USHJA. Riders must also submit three letters of recommendation, complete the Level One Horsemanship Quiz Challenge with a score of 80 percent or above, and meet all other eligibility requirements to participate in an EAP Regional Training Session. In addition, horses and riders must be proficient in completing a course set at 1.10m, including a Liverpool. Space for the available 3-foot sections is limited to eight riders, and is open to USHJA members of any age that are in good standing above the Outreach level. Riders must be proficient at completing courses set at 3 feet or higher. Riders who submit the 3-foot application and pay the associated fee to USHJA will be accepted to the 3-foot section on a first come, first served basis until all spots are filled. If there are more than eight applications are submitted for a particular session the day applications open, there will be a random draw to determine participants. The USHJA Emerging Athletes Program was created for young riders to gain riding and horsemanship knowledge in their pursuit to become informed and experienced horsemen and women within the hunter/jumper community. Since the program's inception in 2009, EAP athletes have gone on to work for Olympic and nationally recognized trainers, as well as compete and succeed in top hunter, jumper and equitation in the United States and abroad. Riders accepted into the EAP begin by participating in an EAP Regional Training Session. During the extensive five-day Regional Training Sessions, riders have the opportunity to work with top riding clinicians and some of the country's leading stable managers, where instruction focuses on flatwork, gymnastics, related distances and course work, as well as an intensive stable-management curriculum that incorporates proper care and grooming, horsemanship skills, and barn management. Riders provide their own horses for the Regional Training Session and provide all care themselves. USHJA Zones, in collaboration with the USHJA Foundation, offer grants to EAP participants to help offset the cost of attending an EAP Regional Training Session or the National Training Session. Each zone offers a minimum of two EAP grants. For more information and to apply for an EAP Grant visit www.ushja.org/zones, click on your home zone, and then click on "Grants and Scholarships." EAP Grant applications must be completed by April 1.